OK, I just found that Jacoby Jones is a pro footballer. Tonight, he and dancing partner Karina Smirnoff danced a Cha Cha Cha. Supposedly, Jacoby knew nothing about ballroom dancing before getting on the show, and then he and his partner couldn't start rehearsals until two weeks after the other teams so Jones could recover from knee surgery. I was thinking he would be limping, but the guy nailed it. He's definitely one to watch. 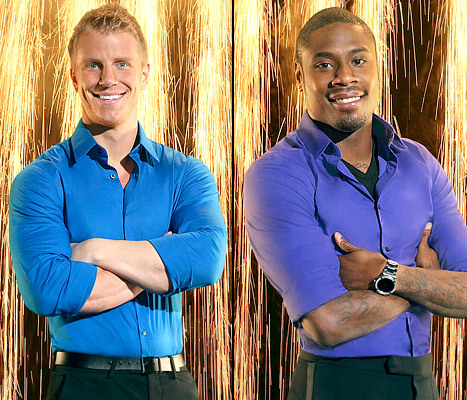 BTW, the ladies on DWTS are far ahead of the men, I have my favorites already. Who else is watching?